Advanced Dungeons and Parenting: Quarriors -- Are You Ready For Dragon Dice 2.0? 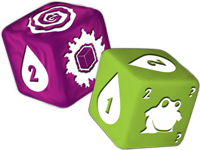 Quarriors -- Are You Ready For Dragon Dice 2.0? Late in January, WizKids games announced that they would be releasing the Quarriors Dice Building Game later this year. 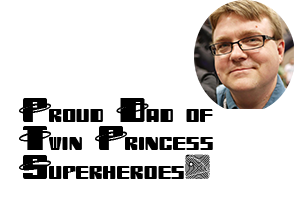 Designers Eric Lang (Warhammer: Invasion ) and Mike Elliot (Thunderstone ) have pooled their game design talents in order to create a game that combines the play of a dice battle game like Dragon Dice with the strategic elements of a deck building game like Thunderstone or Dominion . 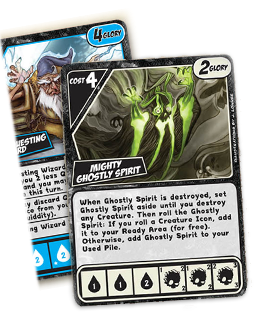 They also seem to be taking a marketing lesson from Fantasy Flight Games Living Card Games, and Deckbuilding games, in that the product will not be sold as a collectible game like earlier battle dice games. Games like Dragon Dice and the Marvel Super Heroes Dice Game were fun to play, but can be frustrating to collect. Quarriors is avoiding the potential pratfalls associated with a collectible game by offering everything you need in order to play in the box itself. The game is slated for release this summer, just in time for the convention circuit, and is on my much anticipated list. Lang and Elliott are both talented designers, and I look forward to seeing what they have to offer in this game. Those dice look really dull and abstract. I'm not predicting a big success for this kidz game.